We're always available for special requests, take this touring option for example - 1.5" racing tyres, pannier rack and powerful integrated headlamp that runs from the main power supply! Our 2018 model has finally arrived. 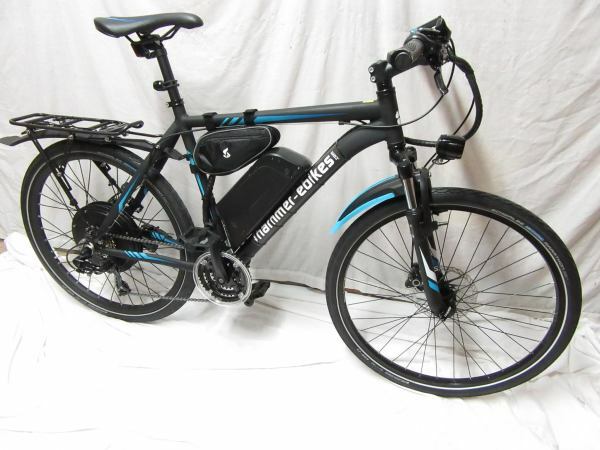 We have some great studio shots of our 250w-1000w dual power ebike which looks great in matt black! The super-wide slick tyre, CRUISER option gives the bike a powerful look and makes it handle like a dream! Our dual power system is embedded in the new control system. Our new ebike is capable of behaving itself when on-road sticking to 250w output and 15mph but as soon as the de-restriction code is entered the bikes full potential is unleashed! New for 2017 - super wide Schwalbe Crazy Bob tyre option. These tyres grip the road and wont let go! We love high speed ebikes so much we cant stop talking about them! 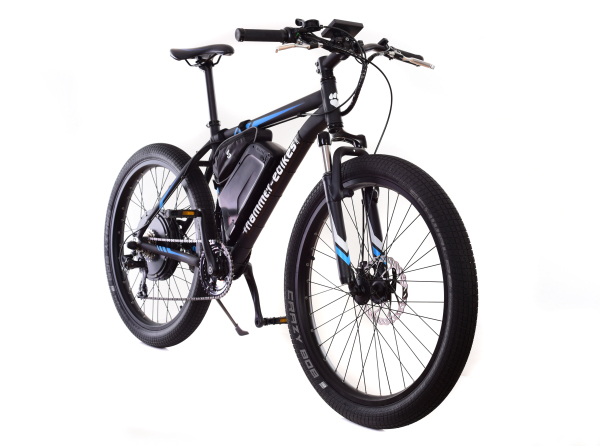 Vist our eblog to get the latest news from hammer ebikes.